In response to the Medscape Nurses February 28, 2017 article, ‘Strong Evidence’: Obesity Directly Linked to 11 Cancers NNNO Board Director Audrey Griesel Byrnes BSN, RN, PCCN-C writes, “Obesity is a precursor to many diseases and the overall solution is prevention. Additionally, obesity should be a public health concern, which has become a chronic and costly condition but yet it largely preventable. This is why legislation for a National Nurse for Public Health is so important. Our nation needs to shift towards preventive measures to slow the growing epidemic of preventable conditions that become chronic conditions. If one condition, such as obesity, were to be prevented, there would be a reduction of type 2 diabetes, arthritis, cardiovascular conditions in addition to cancers like those described in this article. A National Nurse for Public Health positioned alongside the Surgeon General can help lead education to promote health awareness. Please become familiar with this forward thinking legislative topic at http://nationalnurse.org . Supporters of the National Nurse Act often ask what they can do to support this bill. Some are entering the political arena as a first-time nurse activist. 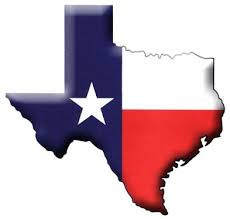 One of the most effective and easiest ways one can advocate for any piece of legislation is by personally visiting your U.S. Representative’s and Senators’ district offices that often are located very close to where you live. Constituents who have visited their elected officials in the past have been very successful in gaining their support to co-sponsor H.R. 1651/ S. 1106. Case managers and nurses residing in California, Florida, Massachusetts, Michigan, Oregon, and Texas have contacted the NNNO for tips and a packet of information that can be printed and presented to staffers. 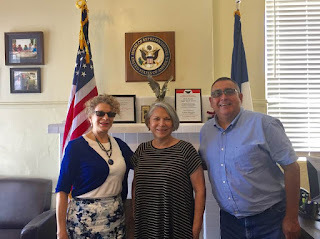 Thanks to Joan Westgor and Danny Gusme, both leaders in the Case Management of Society of America Alamo Chapter who recently visited the Congressional district offices of Representatives Lloyd Doggett (TX-35) and Joachin Castro (TX-20). Please send the NNNO pictures of your visits to include in upcoming issues of the National Nurse newsletter, the National Nurse website, and the National Nurse Campaign Facebook Group.